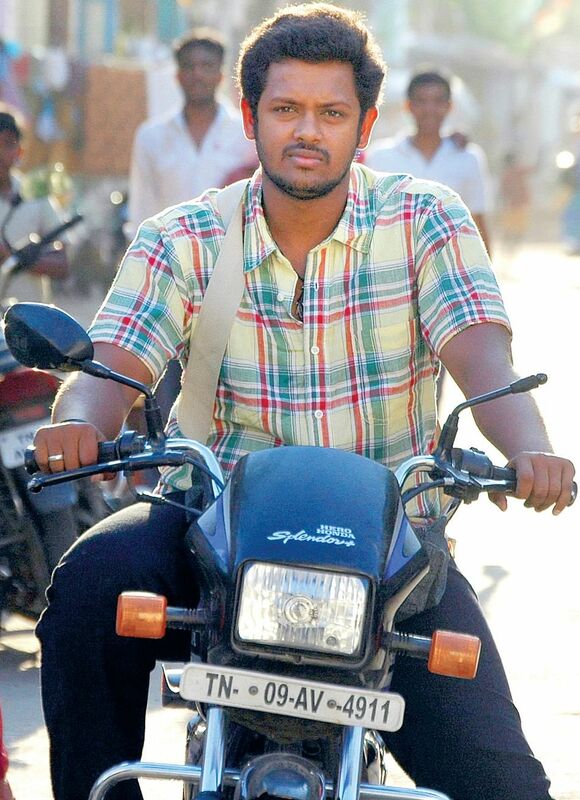 Angadi Theru drove actor Mahesh to dizzying heights of fame. After the Vasanthabalan film, the actor was seen in Yaasagan and Velmurugan Borewells. Now, his next movie, Skydot Films’ Iravum Pagalum Varum (IPV), directed by Balu Sriram is releasing this week. The actor also has two more films in his kitty. In a chat with CE, he reveals why there have been long gaps between films and his quest for a new identity. “Wherever I go now, I’m known as Angadi Theru Mahesh,” says Mahesh, with a smile. “The film catapulted me to fame overnight. After that, I had to be careful in choosing roles. Also, some of the releases got delayed. Hence the long gaps between films,” he says. The year 2015 seems to have begun on a high note for Mahesh. IPV is a love story directed by A Venkatesh’s former assistant Balu Sriram, and Mahesh is thrilled that he got to share the screen with Venkatesh again. “Venkatesh sir made his acting debut as a villain in Angadi Theru, in which I was a debut hero as well. In IVP also, he’s a villain. So it was great to act with him again,” he says. Mahesh says he was intrigued by the script of the movie, which is about about two youngsters who love each other without meeting and conveying their love in person. Ananya plays his love interest. Mahesh has just finished shooting for Buddherin Sirippu opposite Mithra Kurien. The movie is special for him as he built a bond with Samudrakani who plays a CBI officer in the film. “I was very nervous to act before him but he put me at ease. Both of us are from Madurai so he would call me thambi,” he says. In Adithalam, opposite Aarushi, Mahesh plays a construction worker. Both films are readying for release. “Angadi Theru raised people’s expectations from me, now I want to do another big film, which will give me a new name and identity by 2016,” he says.